To borrow some famous song lyrics, “What the world needs now is love, sweet love.” No matter how cliché it may sound, it is so true. 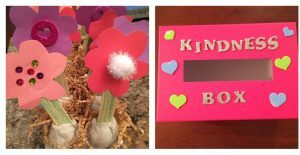 So, this year when it was time to think of some Valentine’s Day craft ideas, I decided our family’s theme would be kindness. 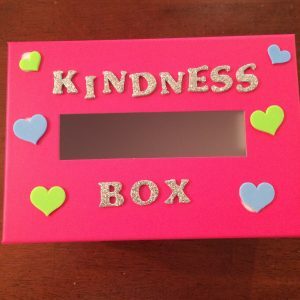 The kindness theme also coincides with Random Acts of Kindness Week, which is Feb 12-18, 2017. Win/win! 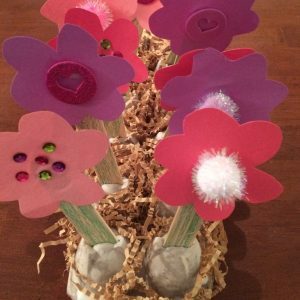 The first craft my daughter and I created was our Garden of Kindness. Each flower planted in our “garden” has an act of kindness written on its stem. Leading up to Valentine’s Day, we will pick a flower daily and complete the act of kindness detailed. 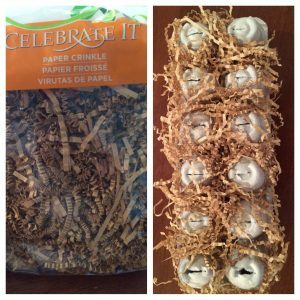 To make our garden, we started with an empty egg carton turned upside down. I cut slits in the eggs holders to make a space for our flowers to be planted. [Note: Adults should complete this step for safety reasons.] For decoration I used Elmer’s glue and covered the egg carton with paper crinkle (gift bag filler), but Easter basket grass would work nicely also. (This step is completely optional). We set the carton aside to dry. Next we created our flowers. 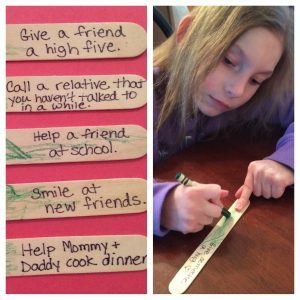 First my daughter and I brainstormed ideas of acts of kindness, and I wrote them on the popsicle sticks. Some examples we came up with were, “Call a relative you haven’t talked to in a while” and “Smile at new friends”. Next we colored the popsicle sticks green. We cut flower tops out of construction paper and decorated them. 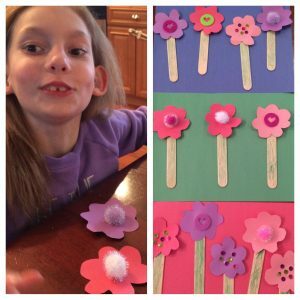 We glued our flower tops onto the stems and set them aside. When everything was dry, we planted our flowers. 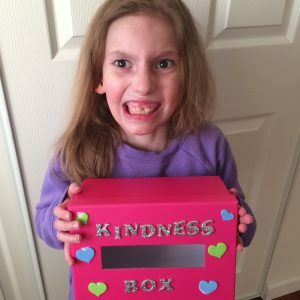 For our second family craft, we created a Kindness Box. I purchased a Valentine mailbox at a craft store for this, but any photo storage box or shoebox would work as well. We decorated our box with letter stickers and glued on foam cut-outs. 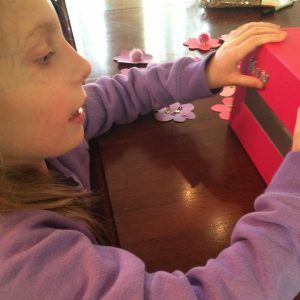 During the month of February, each day our family will write down something kind that happened that day on an index card and put it inside our box. This could be something we did for someone else, something we witnessed or a kind act someone did for one of us. At the end of the month we can open the box and read together all the things inside. It is very encouraging and emotionally healthy to surround ourselves with positivity and goodness. 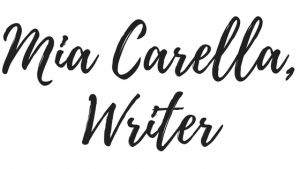 The great part about this activity is that it can be used all year round, and that is exactly what I hope to do. 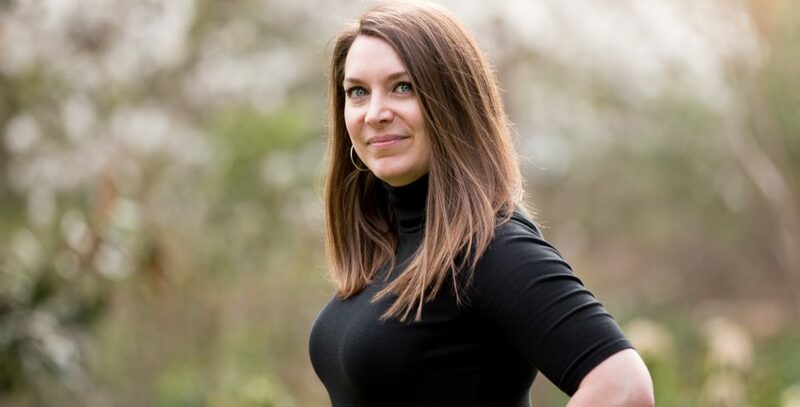 If you are looking to spread a little kindness in your family and community, why not try these activities? My daughter had a blast making them (“More crafts, please!”) and I love what they are teaching her. What do you think? < Previous Check Out “KinderPerfect” – A Hilarious Game For Parents Like Us!